BC doctors are a diverse group comprised of different genders, nationalities, religious affiliations, sexual orientations, ages, practice locations and more. Over the next few months, we will be seeking your views on how we can encourage greater diversity of physician leaders within our governance structures – the Board, Representative Assembly and committees. This page provides information on our engagement and how you can get involved. More diversity and inclusion within our physician leaders at Doctors of BC means our governance bodies will better represent all our members. When new and different physicians are engaged, they bring fresh ideas and perspectives. This means that we can do better job of strategizing and planning for the future of the whole profession. In our governance bodies, we have lower levels of participation from women, younger physicians, those from different ethnic and cultural groups, First Nations, physicians with disabilities, those with varying years of practice experience and many other groups. We want to do everything we can in a fair and transparent way to encourage members of these groups to have their views reflected when decisions are made. Are physicians involved in the planning of this engagement? Yes. Seven physicians and one medical student make up the Working Group on Diversity and Inclusion, which provides advice to staff and our diversity consultant on the development of a plan to engage with members to gain a solid understanding of the barriers to achieving diversity. To find solutions, we must first identify the challenges that exist. Why are many physicians from these underrepresented groups not getting involved as leaders at Doctors of BC? We are not looking for ‘quick-fix’ solutions, but rather want to take the time necessary to conduct extensive engagement with members, to thoroughly explore the challenges and possible solutions. We also want to hear about supports that we are offering now that are working well. Here are the three phases of engagement, and information on how you can get involved. 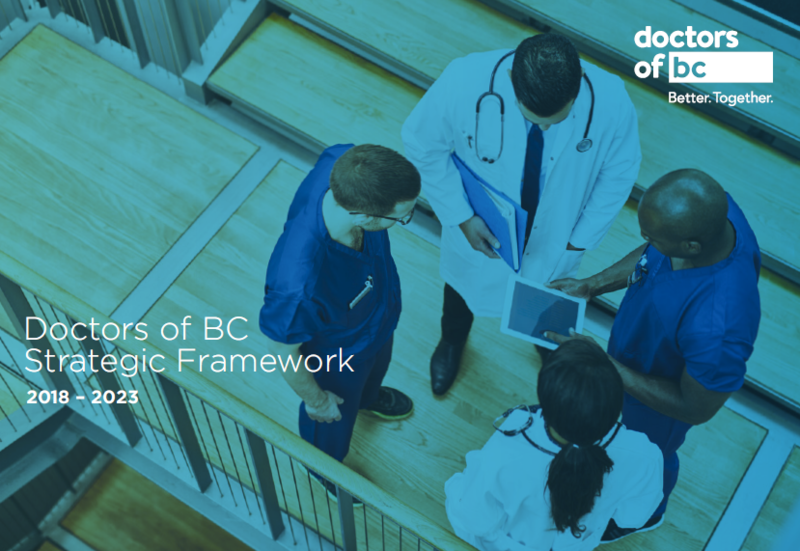 Doctors of BC’s Board is committed to taking steps to support greater diversity in our governance structures. Upon completion of these three phases, a final report of the findings with recommendations will be presented to the Board in late 2019. A summary of the findings will be shared with members, and work will begin on an implementation plan.